We currently ship to Canadian customers. If you are an INTERNATIONAL customer, we can ship to you but you must contact us for a custom shipping quote and we can send you an invoice for your purchase. Customers will be provided with a tracking number once the product has shipped. Tracking number can be found online via your account or order info and will be sent via email provided during your order. All shipments are insured. Orders will be processed & shipped within 24/48 hours, holidays and weekends can add a slight delay. Most shipments usually take between 2-8 business days depending on stocking levels. Some items may ship separately from Youngevity orders at no extra cost to you. 6 Packs of Beyond Tangy Tangerine are shipped factory direct now, no import fees but a slightly longer ship time. Great News! – ProPur Products now ship directly from us here in Canada so no more import fees 🙂 Please allow for up to 2 weeks delivery time on customized models if we do not have them in-stock. Any ProPur item not in-stock will now be ordered in and shipped out to you from our office in Calgary. US ProPur orders ship factory direct from within the US. We have a couple selections for payment. 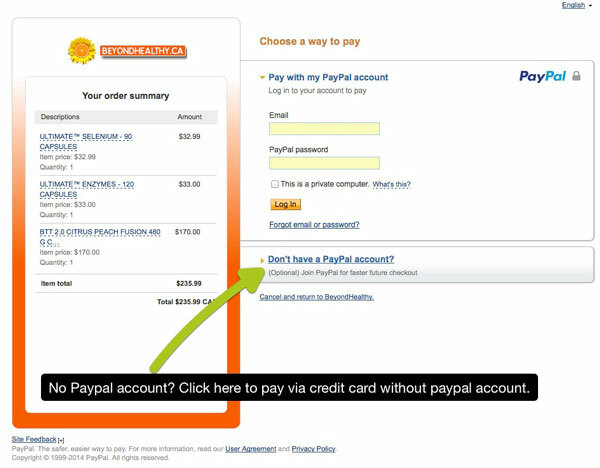 You can pay fast and easy with your credit card via Stripe or also via Paypal. It’s quick, easy, secure and you can pay via all major credit cards even if you don’t currently have an account. We also accept E-Mail money transfers and Money orders. ProPur products come with a great warranty please check each item for details. If you have issues with your ProPur system due to defects please contact Propur customer service and they will be happy to assist you. If it is determined that your product needs replacement, it will be shipped direct from ProPur as they handle all warranty issues. Most products have a 15 day return policy. You must contact customer service to request a RMA #(Return Merchandise Authorization). Shipping is not refundable. Perishable Food items (chocolate) are final sale. Sexual Wellness products are not returnable due to the intimate and personal nature of the products, we do not have any kind of satisfaction guarantee and no medical claims are implied or warranted by the use of this product. Defective products will be covered by manufacturers warranty and you can contact them to start your replacement process. We will be happy to assist you in finding the right contact info for the warranty issue. For ProPur products: If you are not satisfied with your order and would like to request a refund (within 30 days), you will be refunded the full cost of your item minus shipping costs & a 10% re-stocking fee. Buyer is responsible for shipping costs back to our office and must be trackable. When calling into Youngevity please quote your Youngevity order number on the invoice in your package and not your BeyondHealthy order number. Refunds will be issued on returns as soon as product is received back and verified. You should see your refund to your credit card with 5-10 business days. To Exchange a product you will need to send it back to us, contact us first to tell us you are doing so, then we can send you a new product back. Customer is responsible for shipping charges and will be billed for shipping new product back even if original order had free shipping. Free shipping is a one-time offer on orders and not offered on Exchanges. PLEASE NOTE: When Returning or Exchanging an item that had free shipping, the buyer is responsible for the return shipping cost and we will also deduct the a flat rate shipping cost of $9.99 when refunding your order. All statements have not been evaluated by Health Canada or the FDA. This is not intended to diagnose, treat, cure or prevent any type of disease. This website or its contributors do not claim the treatment or cure of any disease. The information provided on this site is intended for your general knowledge only and is not a substitute for a physicians medical advice or treatment for specific medical conditions. Always seek the advice of your doctor or other qualified health care professional and institution with anything regarding a medical condition. Never disregard medical advice or delay in seeking it because of something you have read on this, or any, website. We do not have a physical store front at this time. If you are in Calgary you can select the local ship option to get a cheaper local shipping rate. Yes you can call us Toll-Free at: 1-888-647-2422 or even text us! Do you stock these items in Canada? Yes we stock a lot of the items on the site here at our local office in Calgary, Canada. That means we can ship quickly to you and you don't need to worry about customs fees/duties that are sometimes charged when items are imported from out of country.Some Youngevity products may be shipped factory direct depending on our inventory levels.If your Youngevity product is not in local stock we may have it shipped factory direct to get it to you as fast as possible. You will not be charged import fees/Duties. Yes most order ship via Canada Post and they will ship to PO boxes. For large bulk orders of Youngevity products like Beyond Tangy Tangerine 6 Packs we usually ship factory direct and like to ship them to non-PO box addresses. I notice the prices fluctuate on some products, why is this? We source many products from the US and the Canadian dollar is quite weak right now against the US dollar so import costs are very high. Some of our products are set to update their prices daily/weekly based on the US currency as we have to follow MAP (Minimum advertised Pricing) rules that put in place by our suppliers. Our systems sends out emails during every stage of the order process to keep you informed. If you are not getting emails then it may be that they are getting put into your email's Spam folder or being blocked as many email providers have over-strict filtering rules to help combat the mass amount of spam that goes through their systems.We don't recommend the use of HOTMAIL accounts as they seems to over filter everything and block many emails from getting to customers. No, registration is not required to place an order and you can still get your tracking info sent to you via email once your order has been processed (please check your spam/junk folder if you don't receive it).Registering allows you to enter your contact/shipping info for faster purchases, view your orders and easily check your package tracking. I have a question, what's the best way to get help? We offer Email, Live Chat, Text & Phone service. Visit our Contact page for details on all of our communication methods. I don’t have a Paypal account, can I still pay via credit card? You can also now reach us by phone @ 1-888-647-2422. If we do not answer we are probably on the other line serving another customer so please leave a message and we will get right back to you.You can also place your order over the phone and pay via credit card as well if that is more comfortable option for you. I placed my order and it still says processing, is everything ok with my purchase? Yes, your order status will show as processing until we ship the order and get a tracking number. As soon as we have your tracking number we will update your order and you will receive an email with your tracking number. I don't like to use my credit card online, is there another way to pay? Although we use the highest level of security for our online transactions we understand that some customers don't feel safe purchasing online via credit card. We can accept payment over the phone via credit card or via Email Money Transfer, Check or money order.To make payment with your credit card over the phone, call us at 1-888-647-2422 and tell us what you would like to order. We can take your information and process your order.To speed things up you can submit your order online and select the "Email/Cheque/Money Order/Phone Order" payment option and click the "Place Order" button. This will send us your order in the system with all your order/shipping details and then you can call in and make payment for the order.If you would like to pay via Email Money Transfer, Money Order/Check, you can use our online store to select your products. When you are done, checkout and select Money Order/Check as your payment method and submit the order. We will send you details on how to submit your payment. Once the funds are received and clear (check) we will ship your order out right away. My credit card shows a charge from BEYOND-H for my order, is this you? Yes, any order you place with us will show a charge from BEYOND-H or BEYONDHEALTY on your credit card statement. All Products ship from our office in Canada with the exception of certain Youngevity products depending on our inventory levels.If your Youngevity product is not in local stock we may have it shipped factory direct to get it to you as fast as possible. You will not be charged import fees/Duties. Do you ship to the US & International? INTERNATIONAL customers - we can ship to you as well but currently we need to give you a custom shipping quote so please contact us and we can setup your order manually and send you an invoice for your order payable via Credit card or paypal account. Every time you make purchase here at BeyondHealthy.ca you will now earn points which can be redeemed on future purchases to receive a discount. You can see how many points you have in your Account Dashboard and during checkout you can apply the points to your order to redeem them for a discount. You must have an account to collect points, it's simple to create one during check out or anytime by visiting the Register Page. You earn 1 point for every $1 you spend. 100 points = $1. So if 500 points were redeemed you would get $5 off. To see how many points you currently have you can visit your Account Dashboard, it is also listed on the right sidebar on the shop page. When checking out you will see a notification box showing how many points you have and if you have enough you can apply them to your order to get a discount. The minimum amount of points you can redeem on an order is 500. Your points expire 1 year after receiving them, you will be emailed 30 days before expiry to remind you to use them before they expire.